Little did I know that Felicity and I would spend a lot more time together. After the camp, where some nice instructors fit her to my horse so that I could ride (god help me I hadn’t a clue how to put a side saddle on), her owner pretty much made my life by giving me a loan of her for the showing season. 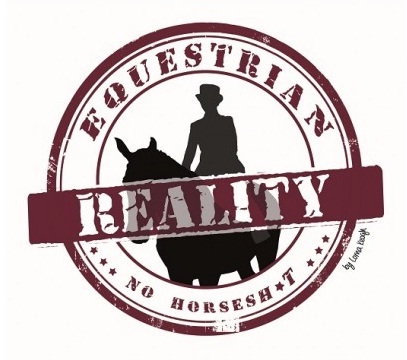 You have to love the Irish equestrian world, a world champion lent me equipment to compete my horse, I doubt it happens often in other sports! At the end of that year Felicity was officially mine. Felicity as she normally looks! She is called Felicity because, well, that’s her name – literally! 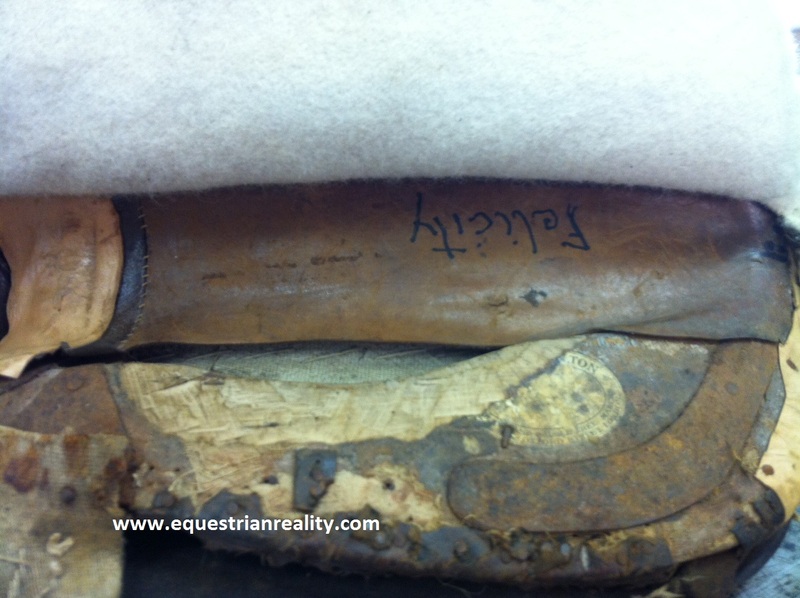 The name was written on the gullet of the saddle when her owner bought her from the last owner. According to Wikipedia, the name means ‘intense happiness’ which is rather appropriate given how often that was true when sat on this saddle. 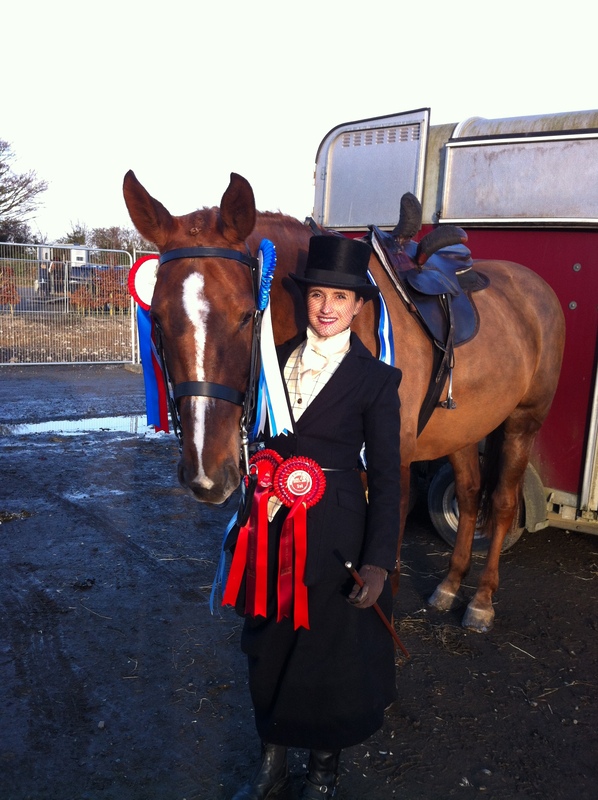 In the first year I had her felicity helped Dolly (the horse) and I to claim several dream come true moments from winning championships to riding in displays. I knew when I got her that Felicity would need some work and so recently I brought her to a specialist to get a makeover. 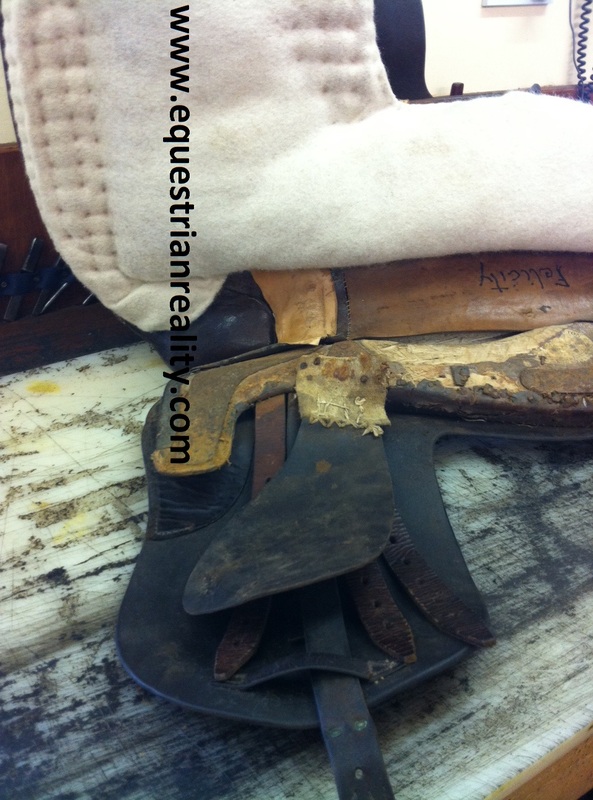 The specialist called me and invited me to come and take a look inside the saddle which is something I’d never seen before and really enjoyed. He started off by showing me the removed serge panel and the tree underneath. The forged metal on the tree which is in good condition and explains what the saddle is deceptively heavy to carry! I had been hoping the inside of the saddle would reveal the original lady owner’s name but sadly this had rubbed off. 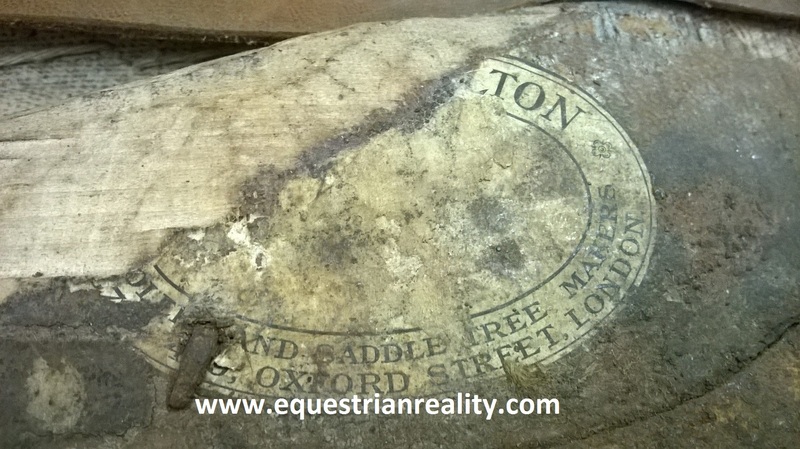 However, the Champion and Wilton stamp verifies that the saddle was made in London which is confirmed by the ‘London’ stamp further up in the tree. Overhead view of the saddle with the offside panel removed. The wooden tree is looking good but the leather around it has deteriorated and will be replaced. The saddler has aged the saddle as at least 100 years old which is fantastic as I have a bit of a fascination with old things and can only imagine the history behind it. The saddle is made of dark brown leather and I love the look of it so the aim is to restore it with as close to original look as possible. and this is why she is called ‘Felicity’ – literally! Felicity will be worked on now to reinforce what needs some support and to re do some bits and pieces. I am looking forward to seeing her in her fully restored glory so that Dolly and I can plan some more adventures on board. Some of the achievements made possible by this saddle! 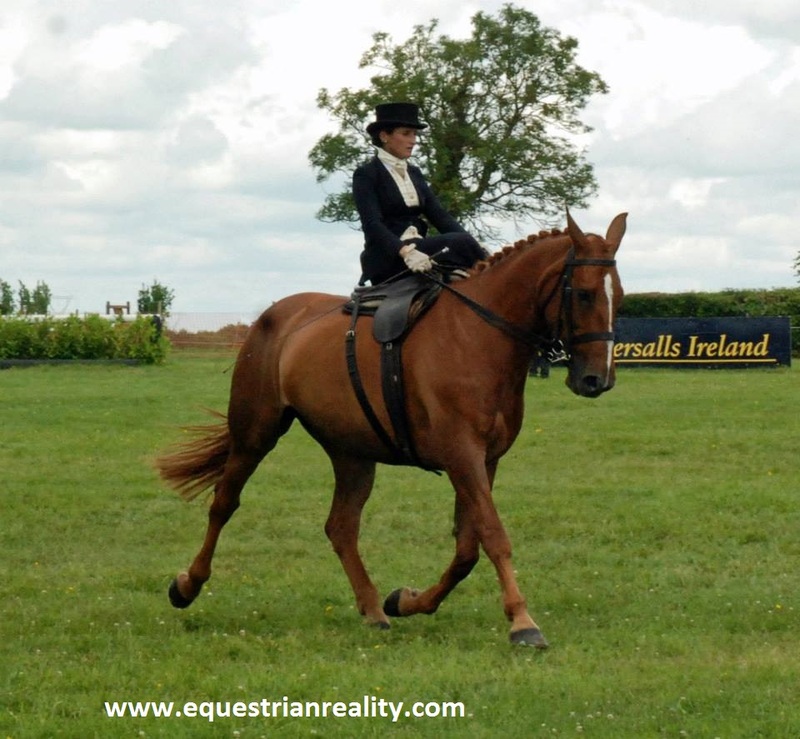 Posted on May 6, 2015, in Equestrian Photos, General, Showing, Side Saddle and tagged champion and wilton, felicity, inside of side saddle, Side saddle, side saddle champion, side saddle ireland, side saddle refurbish, side saddle repair, side saddle tree, side saddle world champion, what does inside of side saddle look like, what does side saddle tree look like. Bookmark the permalink. 1 Comment.